Ryan specializes in individual financial planning and provides key leadership to our Client Relations Team. Ryan helps to match clients’ risk tolerances with the appropriate investment packages while leveraging tax-wise strategies to maximize their results. 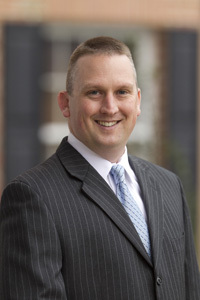 He has more than 15 years of experience in financial services and financial planning, and received his B.A. in Risk Management and Insurance and Human Resource Management from Temple University. He enjoys outdoor activities, such as hunting and fishing, as well as various athletic activities. Ryan resides in Columbia with his wife, Claudia, and their children, Tyson and Paige.